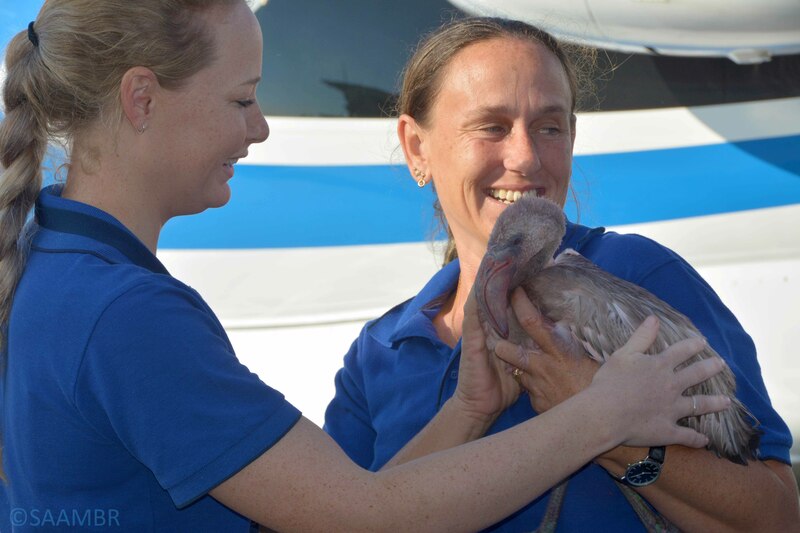 The first batch of flamingos under the care of uShaka Sea World staff were returned to Kimberley in good health this morning. 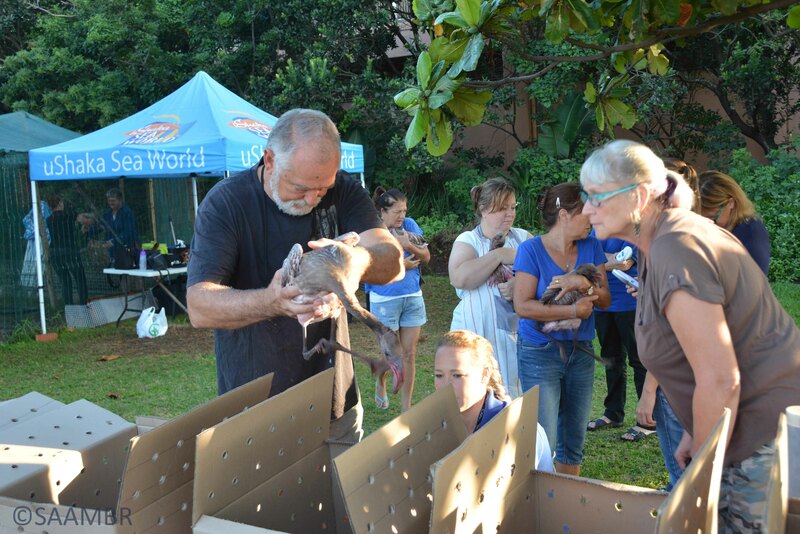 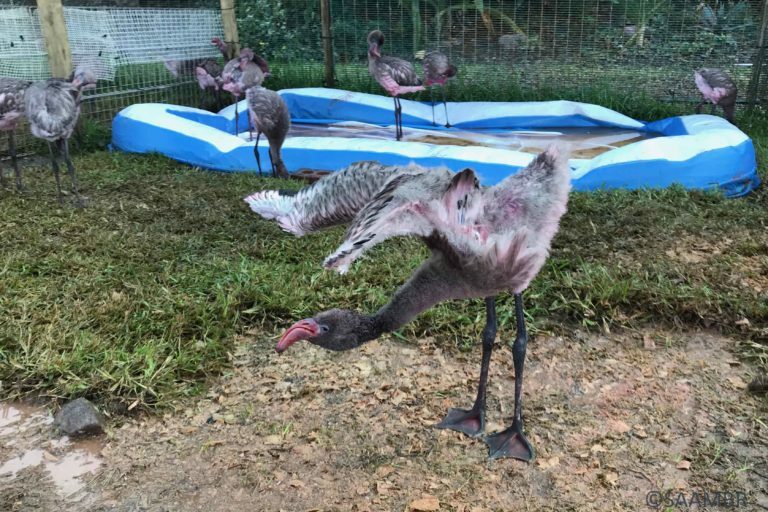 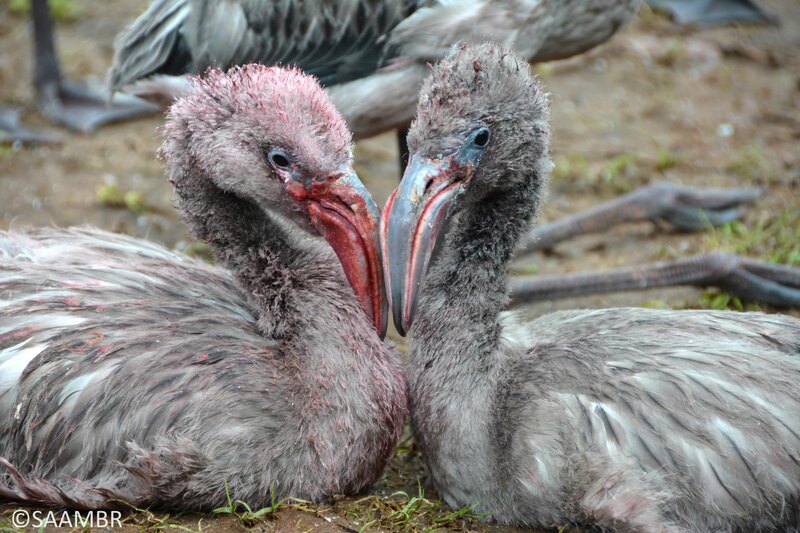 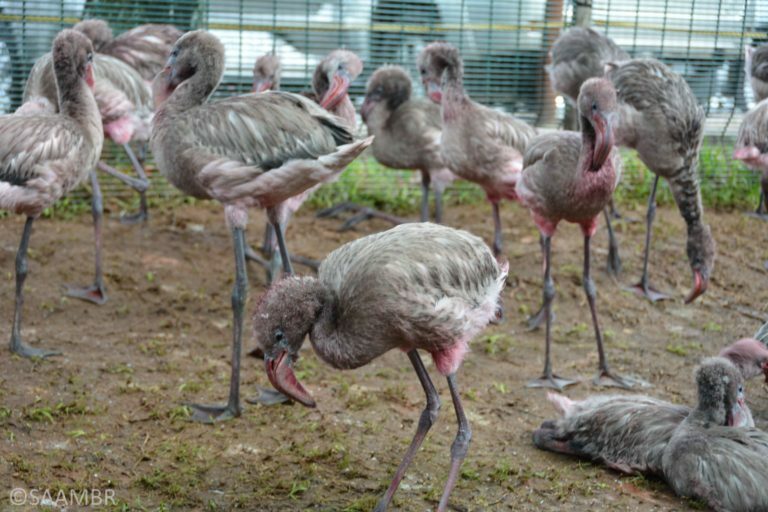 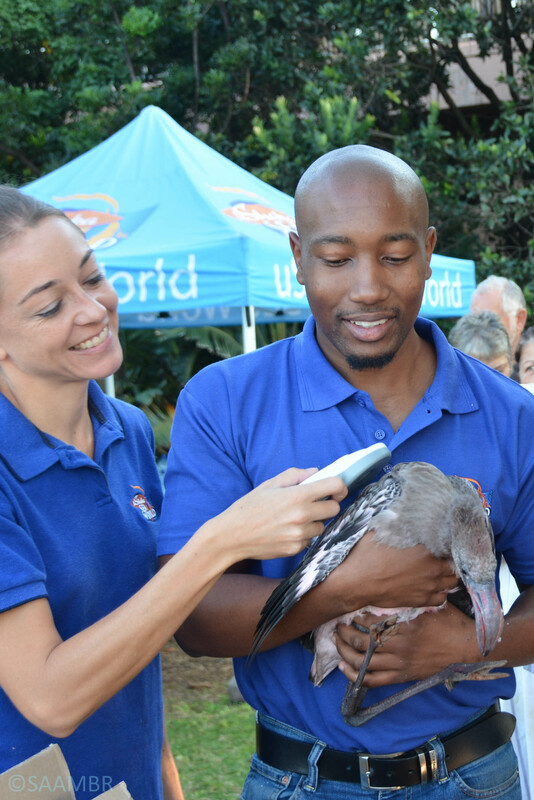 uShaka Sea World provided a temporary home for a number of Lesser flamingo chicks rescued by the Kimberley SPCA (Society for the Prevention of Cruelty to Animals) from Kamfers Dam near Kimberley towards the end of January this year. It was expected that the mortality rate would be high and we were therefore delighted to have been able to send the first batch of healthy releasable flamingos to Kimberley this morning. 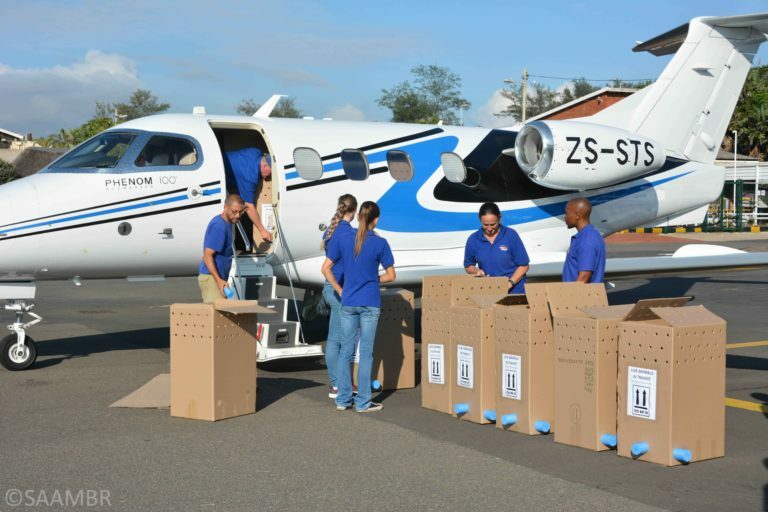 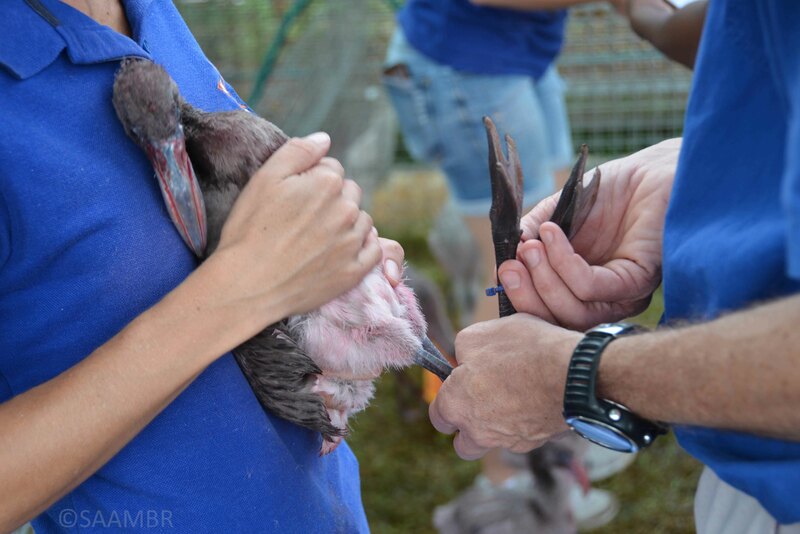 78 currently releasable chicks were placed in specially treated boxes and taken to Virginia Airport where a designated private jet was waiting to transport them directly to Kimberley. It was quite an emotional experience for the staff and volunteers who have been caring for the chicks for up to 12 hours a day for the past nine weeks, as their charges were given their boarding passes. 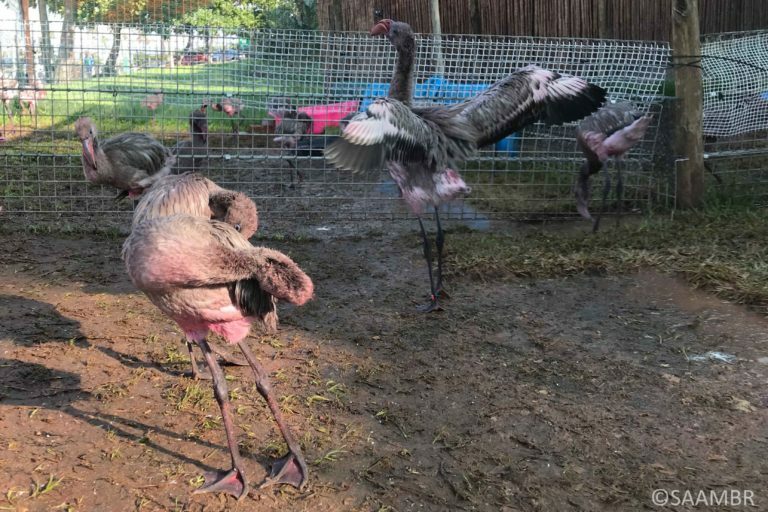 The remaining 37 flamingos will be sent to the National Zoo where they will be cared for and reassessed over the next few months. As and when they reach their releasable milestones, they will also be transported to Kimberley. All of the 78 flamingos flown to Kimberley this morning have been self-feeding for several weeks and passed their health markers with flying colours. 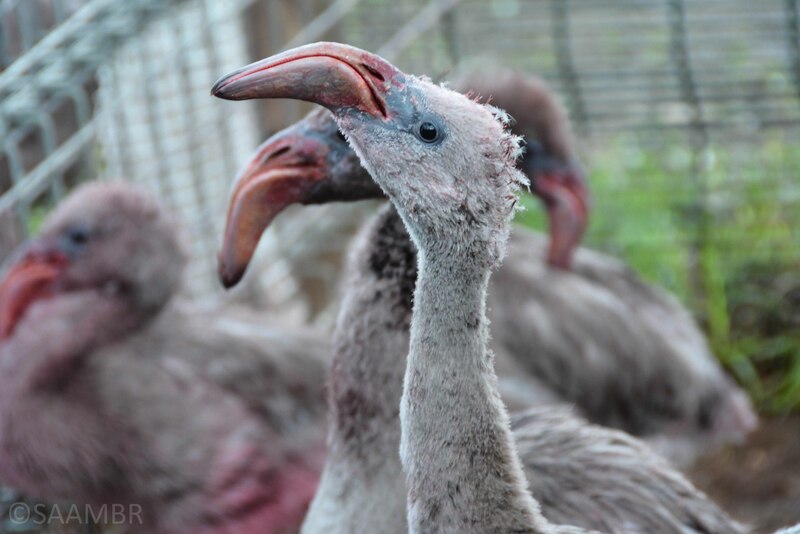 It is planned that once they arrive in Kimberley they will be placed in a quarantine area before being introduced to the wild crèche of flamingos. Whilst they are adjusting to their new world they will be supported until they are fully independent. 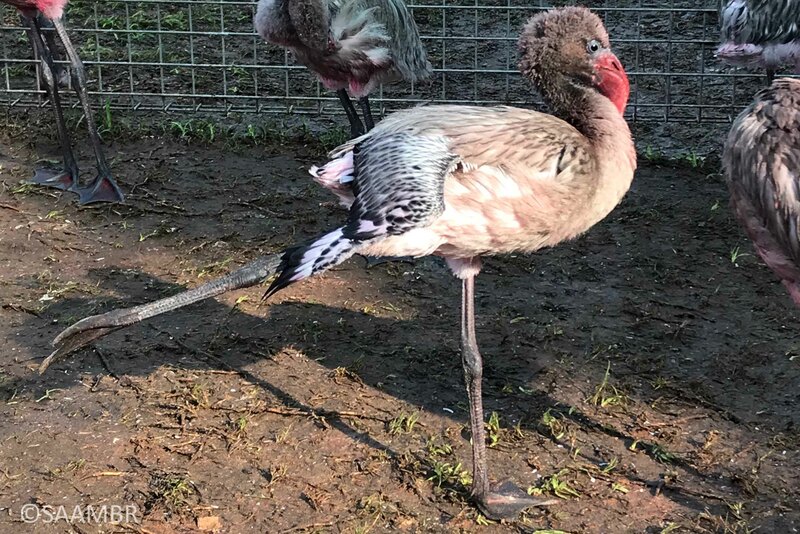 Thankfully the water levels at Kamfers Dam have improved and once again present an ideal foraging ground for the young flamingos. 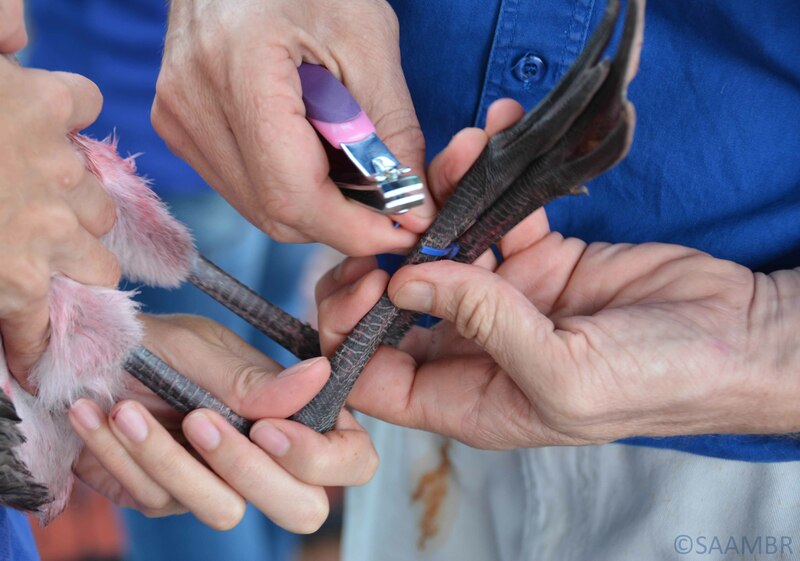 Their future is now out of our hands and we can only wish them a soaring future.